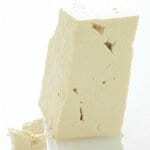 Tofu Hacks – Mix, Coat, Swap and Top | JPMA, Inc.
Tofu Hacks for Better Health. Tofu easily takes on the flavor of other ingredients in a recipe making it a great substitution for meat, eggs, or dairy if you can’t tolerate lactose. Swap half a cup of silken tofu for yogurt in smoothies to add more low fat protein. Swap silken tofu for heavy cream in creamy soup recipes. Mix some crumbled soft tofu into ground meat in tacos, casseroles, dumplings and other recipes to lower the fat and get more servings out of the meal. Swap crumbled firm tofu for eggs, season and add chopped veggies to make a delicious breakfast scramble. Swap ¼ cup silken tofu for each egg in baking recipes.